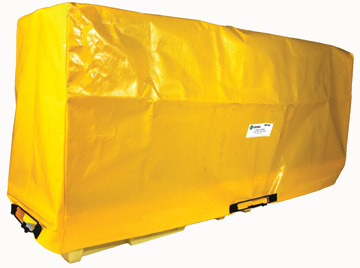 Protect your drums and In-Line Poly-SpillPallet from the elements with this Tarp. 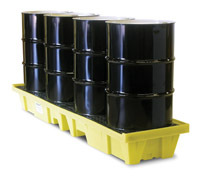 Protect your In-Line Poly-SpillPallet and drums from the elcments with this custom designed Tarp. The Tarp is durable, chemically resistant, and custom fit to the sump to prevent rainwater intrusion that can cost you time and money.